Hardcase FloorTom Case HN16FT, 16"
The Hardcase HN16T Tom Case 16" is a 16" tom case, that is waterproof, thanks to a construction from a sturdy plastic material, featuring ultra strong webbing, and Quick-Lock buckles for secure and fast locking. 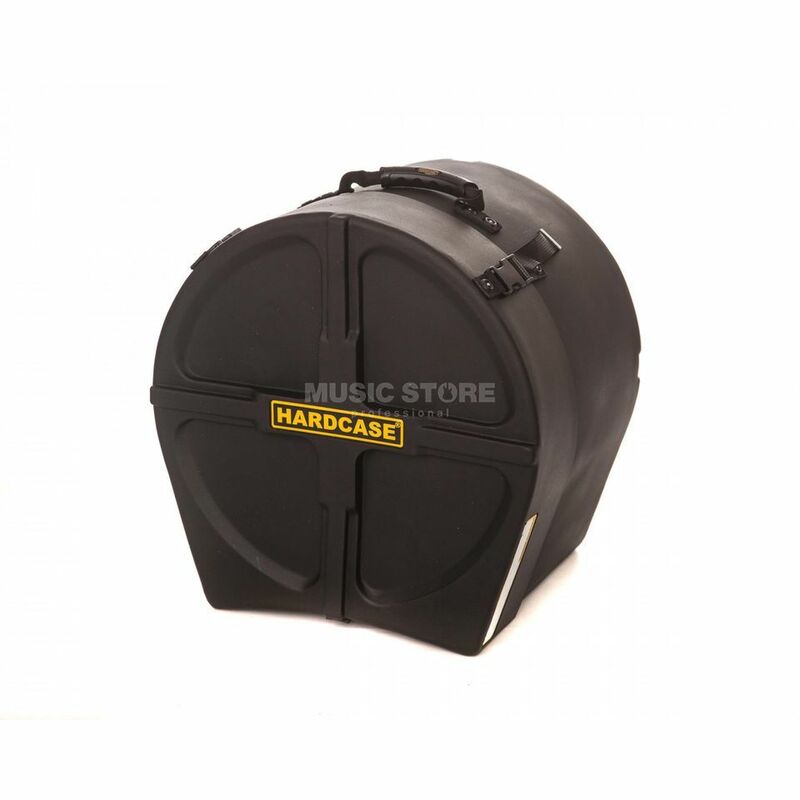 Hardcase cases are manufactured in Great Britain by Hardcase International Ltd and offer extraordinary protection in transport and storage for drums, percussion instruments, cymbals and hardware. Featuring a sturdy design that you could even jump on, these cases offer promised protection for years. With a maximum depth of 356mm, this case is waterproof from a sturdy plastic material made from an ultra strong webbing and "Quick-Lock" buckles are included for secure and quick locking in the body and lid. This gives you secure stacking across all sizes and an amplifier type handle gives a strong, reliable, comfortable, anti-twist carrying.